Kalmar Castle (Swedish: Kalmar slott) is a castle in Kalmar, the province of Småland in Sweden. 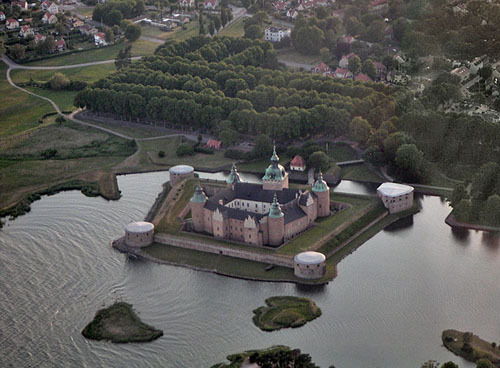 The history of Kalmar Slott stretches back over 800 years. During the 12th century a defense tower was erected to protect against pirates and other sea-faring enemies. A harbour was constructed and in the course of time a castle grew around the original tower. Kalmar Castle soon became “The Key to the Kingdom”, a significant defensive fortification on the Danish border with an essential part in international, political life. 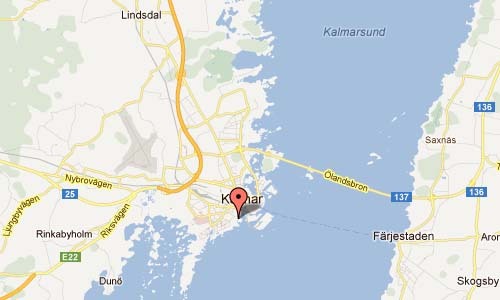 During the twelfth century a round defensive tower was built on Kalmarsund and a harbour constructed. At the end of the thirteenth century King Magnus Ladulås had a new fortress built with a curtain wall, round corner towers and two square gatehouses surrounding the original tower. Located near the site of Kalmar’s medieval harbor, it has played a crucial part in Swedish history since its initial construction as a fortified tower in the 12th century. One of the most significant political events in Scandinavia took place at Kalmar Castle in 1397, when the Kalmar Union was formed – a union of Denmark, Norway and Sweden (including Finland), organized by Queen Margaret I of Denmark. During the Swedish rebellion against Denmark in 1520, the fortress was commanded by Anna Eriksdotter (Bielke), who at the death of her spouse, Johan Månsson Dag och Natt, in the middle of the rebellion against Denmark in 1520, took control over his fiefs and defended Kalmar against Denmark. 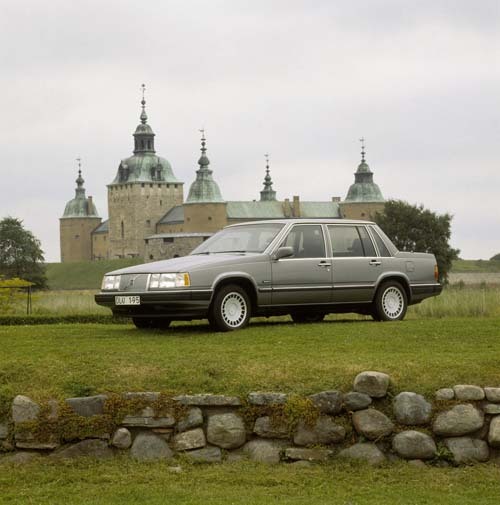 The fortress was improved during the 16th century under the direction of King Gustav I and his sons King Eric XIV and King John III, who turned the medieval fortress into a castle fit for a renaissance king. 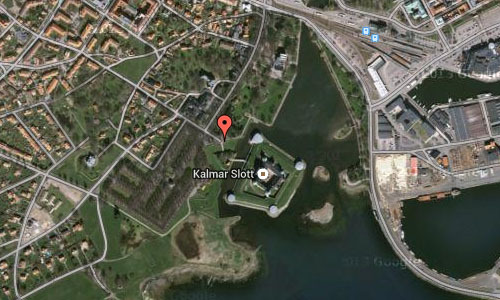 Kalmar Castle suffered heavy damage during the Kalmar War of 1611-13 and was badly damaged by a fire in 1642. Repairs were begun but from the end of the seventeenth century the castle was allowed to fall into disrepair. In 1856, architect Fredrik Wilhelm Scholander (1816–1881) initiated restoration work at Kalmar Castle. 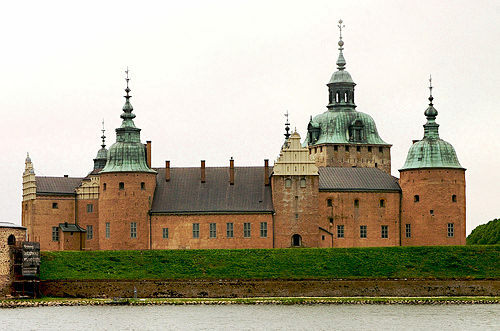 His pupil Helgo Zettervall continued restoring Kalmar Castle in the 1880s. Architect Carl Möller drew up the plans and other documents. The work began in 1885 and by 1891 the castle had gained the silhouette it bears today. In 1919 professor Martin Olsson was charged with the continuing restoration of earthworks, the moat, the bridge and the drawbridge. Work continued until 1941, when the castle was once more surrounded by water. 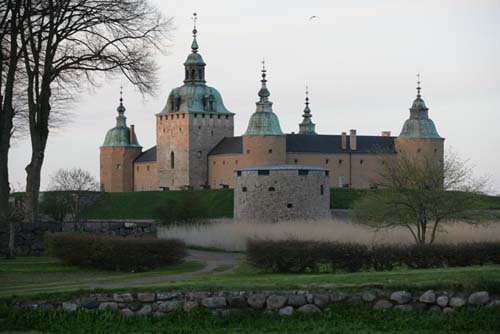 Today, it is one of Sweden’s best preserved renaissance castles and is open to the public.